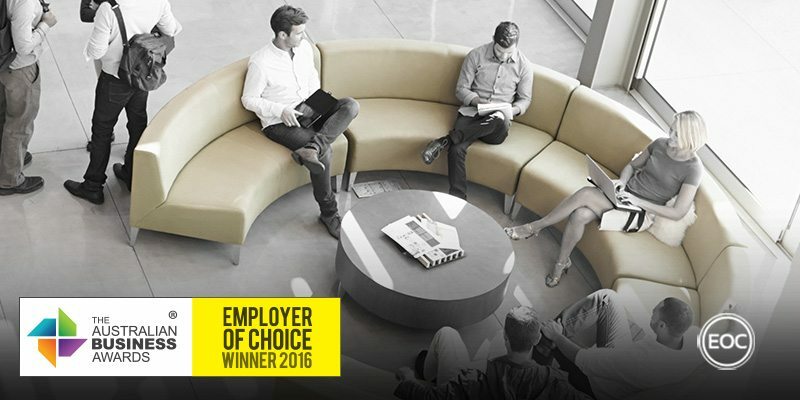 Virtunet has been recognised as an Employer of Choice in The Australian Business Awards 2016. Virtunet was founded in 2008 with a vision of introducing Virtualisation to the SMB and SME market. Since then Virtunet has grown into an Information and Communication Technology (ICT) solutions company that operates Australia wide. Virtunet’s workplace culture is a balance between ‘work hard and play hard’, sales staff are rewarded with competitive commission and remuneration structures and non-sales staff are provided with bonuses structures. Virtunet also run monthly competitions that reward staff with Westfield Vouchers, team lunches and opportunities to attend industry leading events. Virtunet place a heavy emphasis on staff development and working flexibility, providing work from home plans, study leave and assistance and mentoring programs to employees. Being a small business, Virtunet try to value every employee’s individual goals and create tailored programs to ensure they get there. The dynamic nature of the ICT sector has resulted in Virtunet investing heavily in professional development for its staff through internal and external initiatives. Staff training is paid for by Virtunet, who maintain a monthly training/certifications budget. This is complemented by monthly and bi-annual performance reviews that include discussions about bonuses and two-way employment discussions with leaders. Virtunet also hold a staff awards night at the conclusion of each financial year, where five staff members are nominated and receive awards based on their performance. Virtunet’s HR manager is also responsible for promoting the health and wellbeing of employees by ensuring amenities and extras are always available to employees, this includes a kitchen stocked with food and the celebration of staff birthdays, which are tailored to each staff member’s personality.